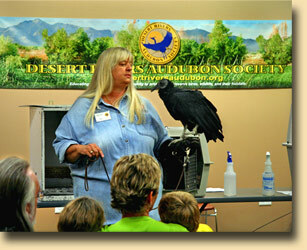 What is the difference between a Desert Rivers membership and a National Audubon membership? National Audubon and Chapters are separate entities that work together to promote conservation, education, and advocacy on local and national levels. 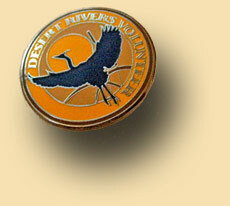 All dues and gifts to Desert Rivers are used for local programs. You can be a member of Desert Rivers and also be a National Audubon member simultaneously, or just be a Desert Rivers member. You can even be a member of more than one Audubon chapter at the same time, regardless of your home address. If you are a National member, you can assist Desert Rivers by designating us as your “assigned chapter” by contacting : kvullis@audubon.org with your request. Desert Rivers is a non-profit 501(c)3 organization formed to provide environmental education, conservation opportunities, public advocacy, nature recreation, and support for Audubon Arizona’s Nina Pulliam Nature Center at Central Avenue and the Salt River. All of your membership fees and donations stay in Arizona and go to local programs! DRAS members receive our quarterly Newsletter, a 10% discount on products offered, and priority on limited field trips and special events. You can join or renew online, or print out our membership form and mail it to the address on the form. We look forward to meeting you and making opportunities available for you and your family to connect with Desert Rivers Audubon and the great local landscapes and habitats that we all know and love. Planned giving and bequests create a wonderful legacy for you and your family and enable Desert Rivers to continue to increase it’s outreach into the communities we serve. For information click the “Giving/Support” button at the top of this page.